I think it was Krell that got the ball rolling on heavy duty chassis construction for audio. Many have picked up this ball since the 1980s but no company (in the UK at least) has run with that ball quite as enthusiastically as Chord Electronics, which manages to get more machined aluminium and stainless steel fixings into a portable DAC than many manufacturers do on a 100 Watt amplifier. It’s clearly an aesthetic that works for Chord and its customers. The DAVE DAC (I would have preferred Barry or Steve), is the only full-sized, non-portable converter in Chord’s current armoury, but it looks like it would work at depths up to 100 metres such is the solidity of the casework and the construction of porthole over the display. DAVE is not the primary reason for this review (we reviewed it in Issue 141); it just happened to be in the right place, my listening room, at the time when Chord’s new SPM 1050 MkII power amp turned up. But it seemed an obvious partner. This is the middle model in the Kent based company’s stereo power amp roster with a specified output of 200 Watts per channel. Like all Chord amps, it’s based around a high frequency switch-mode power supply, an approach found in Linn amplifiers among a few others, which in the SPM 1050 Mk II’s case makes up to 2kW available to the four lateral structure dual-die MOSFET output transistors used in each channel. The Mk II suffix indicates that this SPM 1050 has lower output distortion, improved capacitance, and better isolation of the mains transformer than its first generation predecessor. All are factors that Chord claims reduces output distortion and thus increases transparency, and fidelity; in listening, there’s no reason to doubt its veracity. In terms of features, DAVE is also well equipped; it has eight digital inputs all but RJ45 and RCA coaxial types. The former is still uncommon on DACs, but the latter, while a compromise, is also very popular and it seems slightly odd that not one of the four coaxial inputs has this connector. They are all BNCs which are true 75 Ohm connections and thus well suited to the task, but only high-end sources have this as an output. Watts himself prefers optical connections and DAVE has two Toslink examples alongside computer audio favourite USB, which can cope with the highest 768kHz sample rate and is good for DSD. 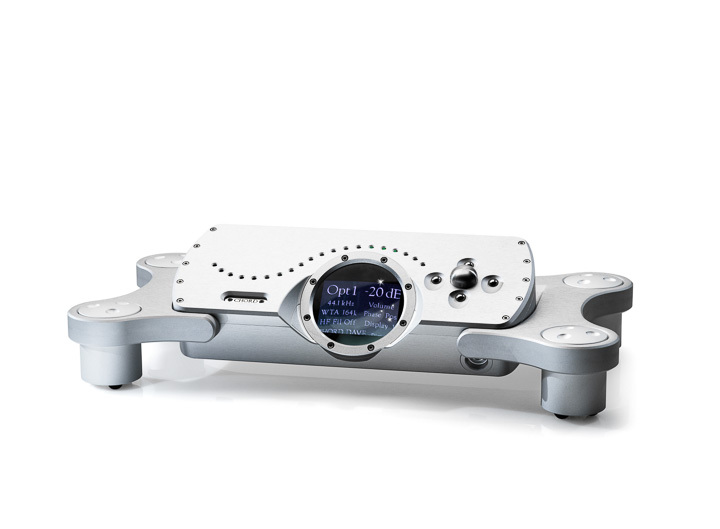 The converter itself supports DSD up to DSD512, both native and DoP. Switching between inputs proved more challenging than expected, there are four switches around the volume knob on DAVE but if you press the north or south ones it changes the function of the west and east buttons that usually switch between inputs, so I gave up and used the remote. Chord’s operational logic often meets operator incompetence, chezKennedy. I was able to switch between volume controlled and fixed output however, the latter being an option that isn’t often included on DAC/preamplifiers today; on most DAC/preamps you usually have to wind the level to max. This comes down to the custom nature of the DSP on DAVE, and is one of many variables you can tweak. These include high frequency filter switching, display colour options that can be quite lurid but indicate sample frequencies: e.g., red for 44.1kHz, dark blue for 192kHz, with shades in between and beyond. How you are supposed to remember which colour means which sample rate is another question but not one you really need to answer. More useful are phase switching, dual data mode for split channel digital connections, DSD and PCM specific modes that will work with the other format but are optimised for one, and headphone mode which offers four crossfeed settings and the potential to drive impedances from 8 to 800 Ohms.